The Barcelona Marathon celebrates its fortieth anniversary this year, although much has changed since the inaugural edition in the coastal town of Mataró. 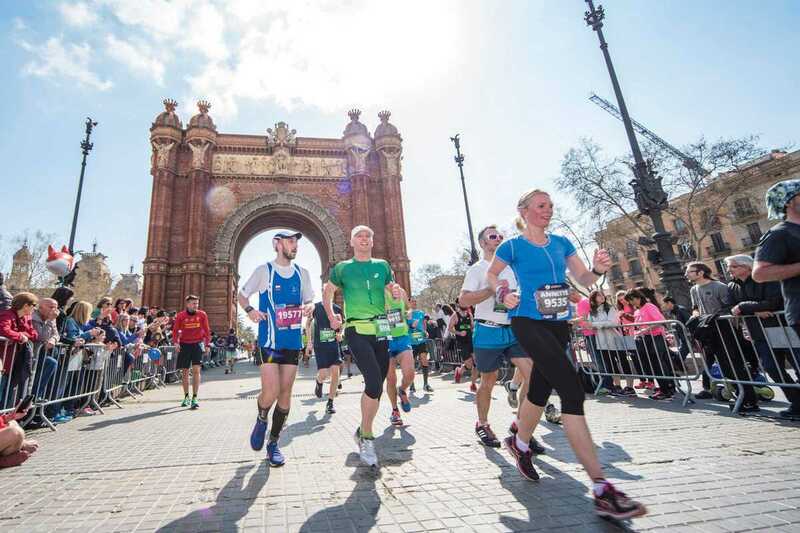 Today’s runners will pound the tarmac of an urban circuit that passes some of the city’s most iconic landmarks, taking in almost 300 years of architectural history on the way from the from Gaudí’s Sagrada Familía to the Torre Agbar. Last year’s race was dominated by the marathon powerhouses of Kenya and Ethiopia, but the bulk of the runners who passed the finishing line behind them were not elite athletes. As one of globe’s most scenic circuits, the Barcelona Marathon also attracts amateurs from around the world. Refreshment stations dot every five kilometers of the route for the runners, while the spectators can indulge in less salubrious sustenance on the sidelines, as well a range of entertainment and cultural activities.